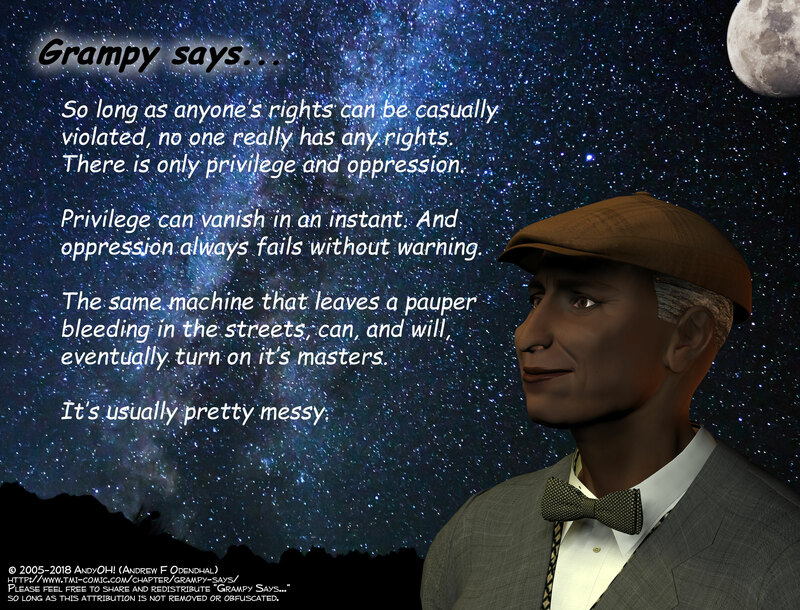 Grampy Says... - "Messed up"
So long as anyone’s rights can be casually violated, no one really has any rights. There is only privilege and oppression. Privilege can vanish in an instant. And oppression always fails without warning. The same machine that leaves a pauper bleeding in the streets, can, and will, eventually turn on it’s masters. An apt warning for both sides of the political debate. Also, Andy, any chance the thumbs up feature will be returning?